Get Fact: will more expensive booze cut binge drinking? Increasing the price of booze, especially cask wine, will cut binge drinking and alcohol-fuelled violence, right? Wrong, writes freelance journalist Callum Denness -- unless nanna's been hanging out at Kings Cross. Get Fact: is the car industry right on fringe benefits changes? The car industry claims in press advertisements that changes to fringe benefit tax rules could "directly affect" 528,000 Australians. Are they right? Crikey puts it to the test. Everyone's talking about Ashes debutante Ashton Agar's brilliant knock overnight. 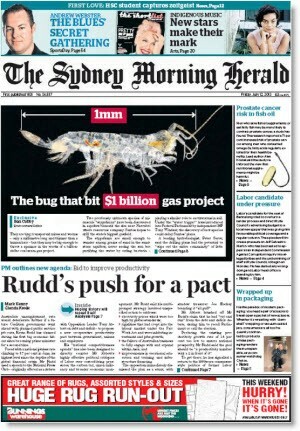 The Daily Telegraph shoehorned the story onto the front page but it was buried in The Sydney Morning Herald. Get Fact: how many asylum seekers turn up without ID? Get Fact: did half-a-million Aussies drop health insurance this year? 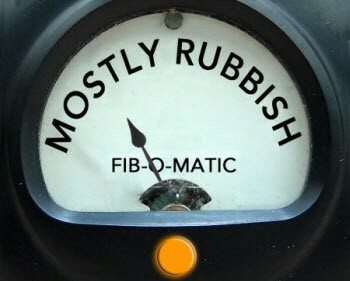 Millions of Australians would walk away from their private health insurance if the Gillard government means-tested the rebate, the industry warned -- and they produced "research" to prove it. Nine months after the means test started, freelance writer Ben Westcott tests that "research". Get Fact: is it really ‘cheaper to buy than rent’? It's cheaper to buy a house than rent one, according to a story in The Australian Financial Review. We apply the Crikey Get Fact test to that rather bold statement. Get Fact: has Rupert got it right on climate change? 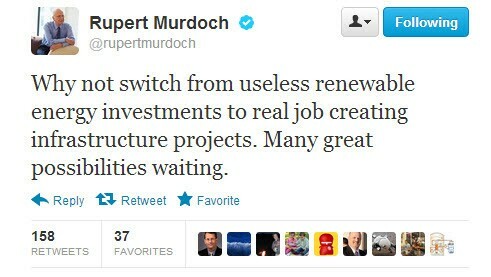 Rupert Murdoch reckons the world is growing greener with increased CO2 and there's no need for renewable energy. Crikey asked forest ecologist Dr Chris Weston to analyse Rupert's conclusions for our Get Fact series. Get Fact: are the Greens ‘backing down’ on private school funding? An "exclusive" front-page report in The Australian newspaper claimed the Greens will dump their most hostile policies towards private schools. But the truth is somewhat murkier. Get Fact: will Abbott’s formula deliver jobs and growth? Tony Abbott's recent rumination on what it would take to fit big Labor spending initiatives into the budget had economists scratching their heads. 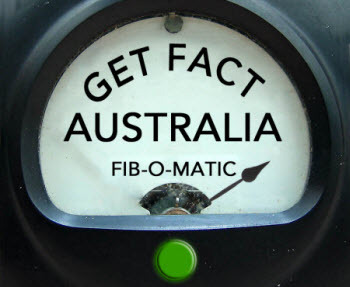 Crikey's Get Fact Australia tests his theories. Get Fact: is Barnaby Australia’s own Thomas Jefferson? Barnaby Joyce tried to invoke early American political life in his speech to the Nationals conference on the weekend. But history doesn't actually repeat.